Passing the Idaho written exam has never been easier. It's like having the answers before you take the test. Applying for an ID driver's license must be done in person at a DMV office. You will need to pass a vision, written, and driving test, and pay the required fees. You will also need to provide various documents to prove your identity, date of birth, ID residency, and lawful U.S. presence. Continue reading to learn how to apply for your Idaho driver's license from the Division of Motor Vehicles (DMV). NOTE: If you are younger than 18 years old, you will need to fulfill additional requirements which can be found on our Applying for a Teen License page. If you've moved to Idaho from another state, you have 90 days from when you become an ID resident to have your out-of-state driver's license converted. Follow the instructions below to learn how to obtain an Idaho driver's license. NOTE: You may need to surrender your out-of-state driver's license. If you have a valid driver's license from Germany, Korea, or Taiwan, your driving test will be waived as long as you surrender your card. Class D: Non-commercial driver's license. Class D instruction permit: Non-commercial driver's license with restrictions. Class A, B, and C: Commercial driver's license (CDL). Motorcycle endorsement: Designated on a Class D driver's license. Foreign passport with valid visa and I-94 print out. Payment for the required fees. For a complete list of required and accepted documents, please visit the Idaho DMV website. Pass the written knowledge test. 18 to 21 years old: $30 (valid for 3 years). 20 years old: $15 (valid for 1 year). 21 years old and older: $30 (valid for 4 years). 21 to 62 years old: $55 (valid for 8 years). Driving test: $28.50 paid to tester, $6.50 paid to county. You will need to pass both a written knowledge and driving test before the ID DMV will issue you a driver's license. Your written knowledge exam will consist of 40 questions about traffic laws, safe driving practices, and other related information found in the ID Driver Manual. To pass the test, you will only be allowed to get 6 questions wrong. If you fail the exam, you will need to wait 3 days to take it again. You will need to pay the $3 fee again. Pass On Your First Try! 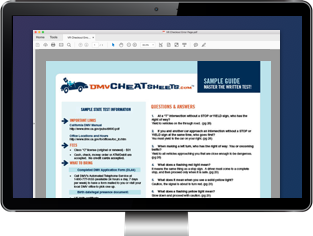 To help you study for the written exam the DMV offers a basic online practice test. If you want to ensure passing on your first attempt we suggest trying a comprehensive online practice test from our certified partner. You will need to make an appointment for your driving test. When you apply for your driver's license, ask the Idaho DMV for a list of certified testers near you. Your road test will last about 30 minutes. During this time you will be required to demonstrate your ability to safely drive your vehicle and obey traffic laws. You will also be tested on your knowledge of the vehicle's equipment. Make more than 15 errors. Are involved in a collision (or near collision). If you fail, you must wait 3 days before re-taking the test. You will need to pay the $28.50 fee and the $6.50 fee, every time you re-test.